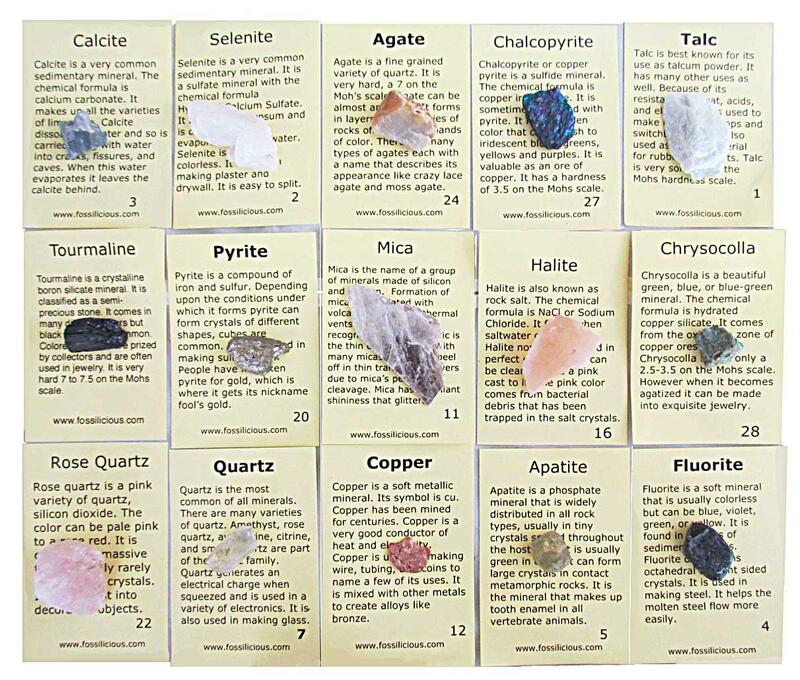 This 15-piece mineral collection is a great starter set for young collectors. The set includes a variety of minerals to demonstrate different mineral properties such as color, hardness and streak. 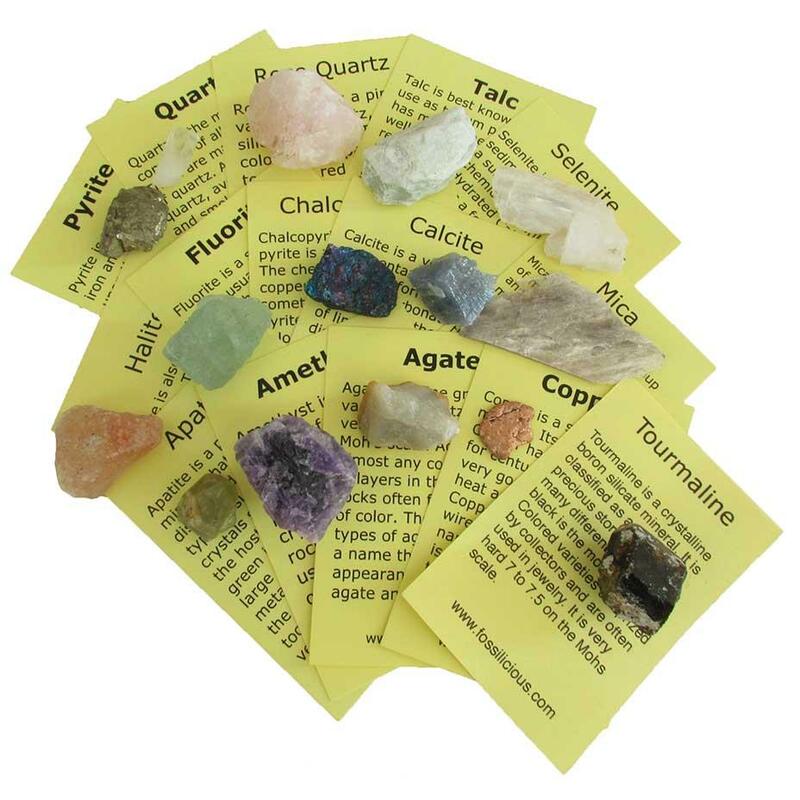 Each mineral comes with an information card and is packaged individually. Activities to go along with this collection can be downloaded for free at www.rocksandminerals4u.com.